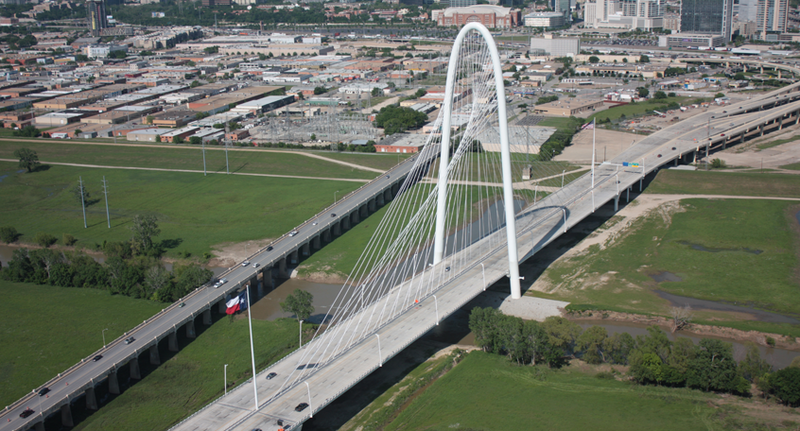 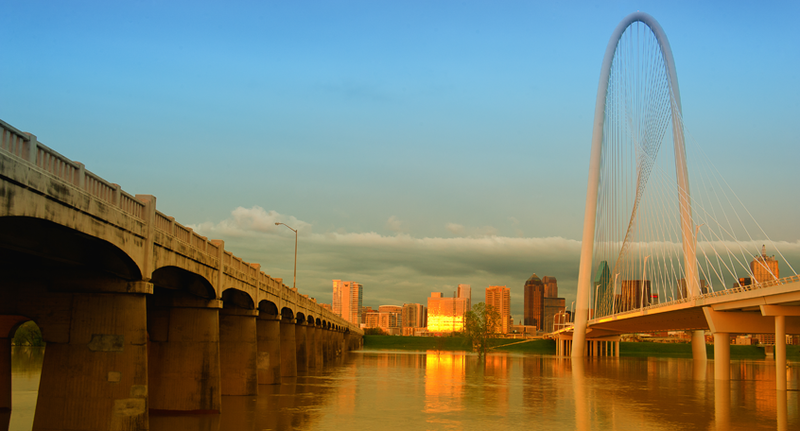 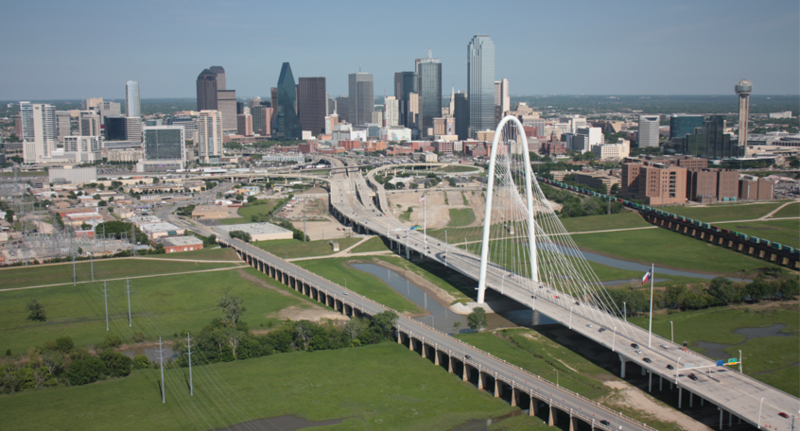 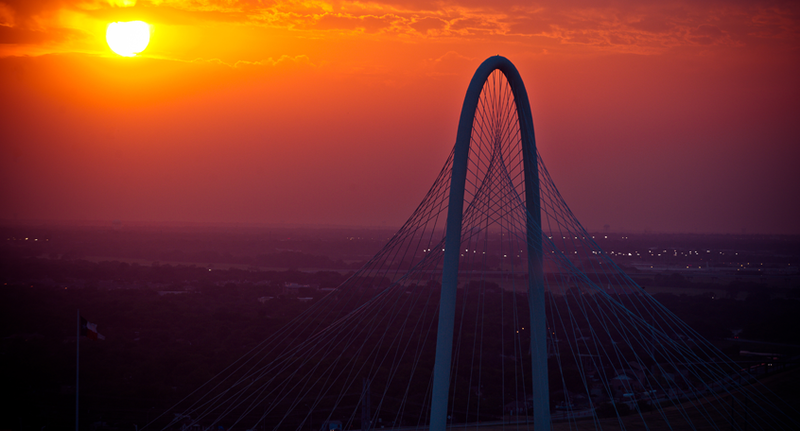 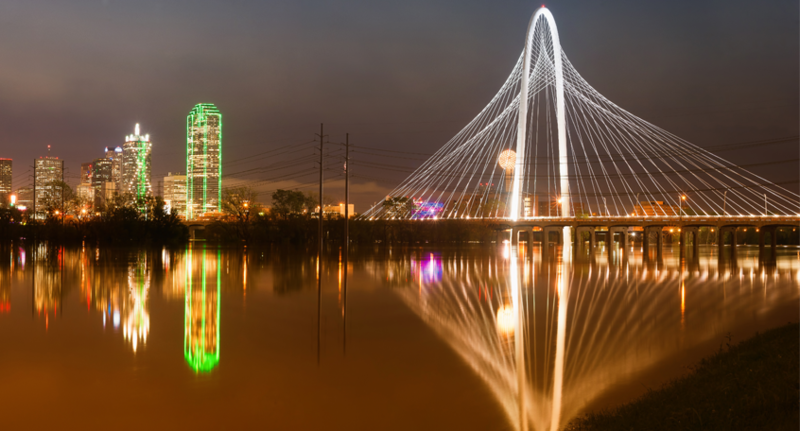 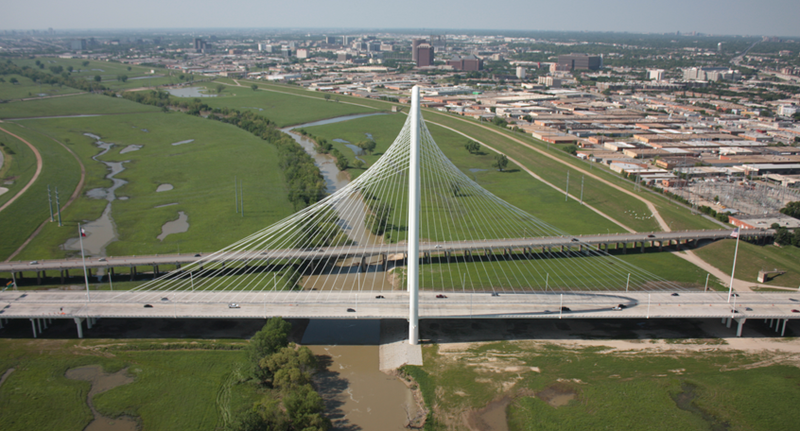 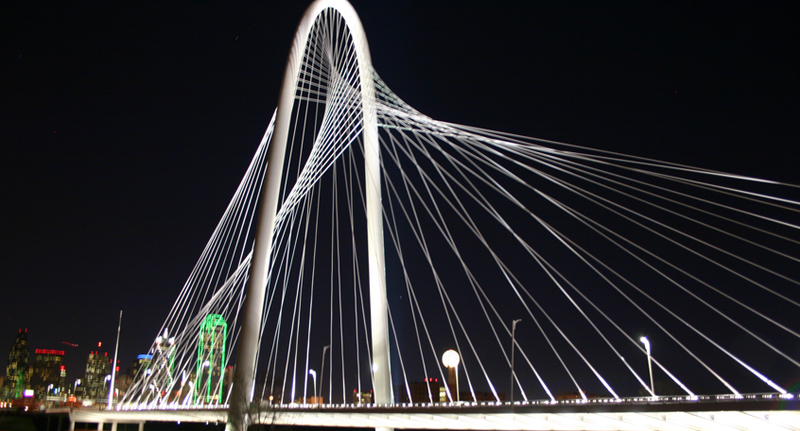 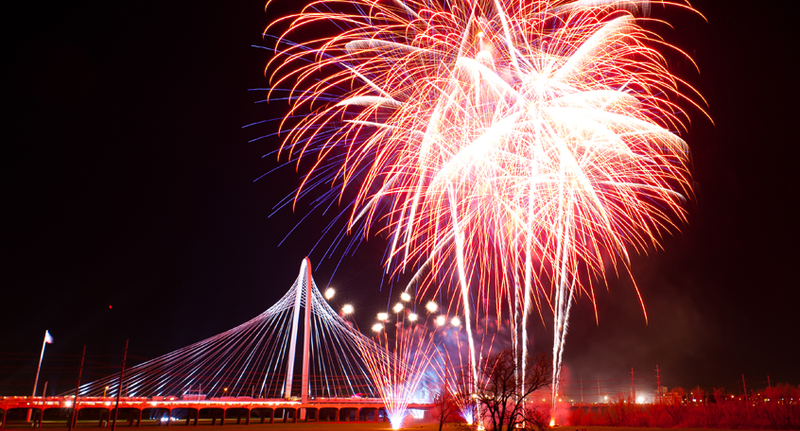 An iconic landmark, the Margaret Hunt Hill Bridge is a signature part of Dallas’ skyline. 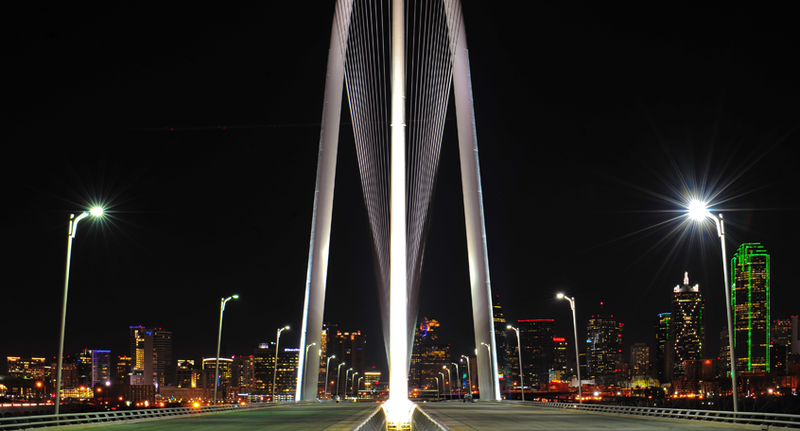 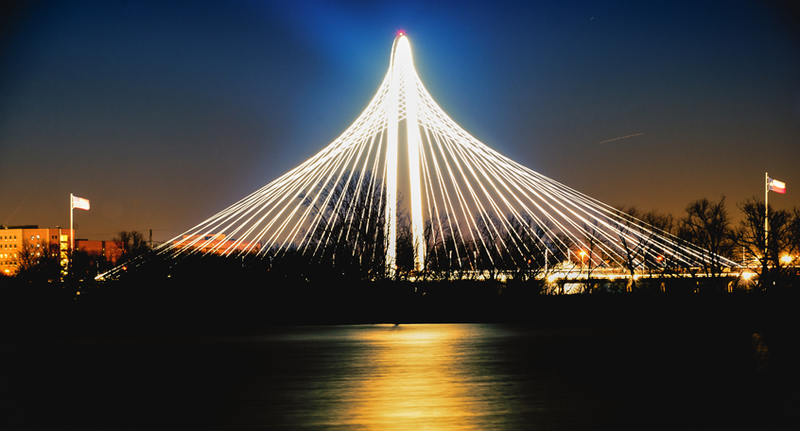 Designed by Santiago Calatrava, it features a center arch pylon soaring to a height of 440 feet above the floodplain, coupled with a unique stay cable arrangement. 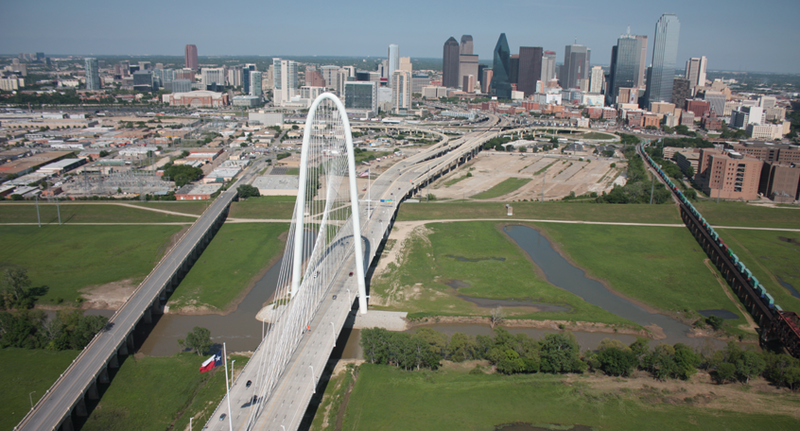 The bridge crosses the Trinity River in west Dallas along Spur 366.